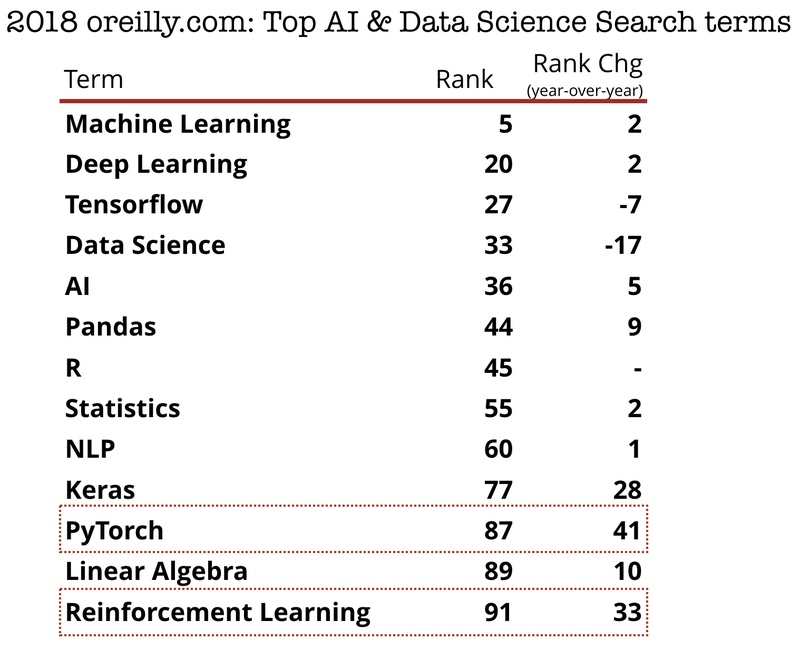 One of the key findings of a survey we released earlier this year (How Companies are Putting AI to Work through Deep Learning) was that the leading reason holding companies back from incorporating deep learning was their lack of access to skilled people. One-fifth of respondents pointed to a skills gap as one of the reasons they haven’t integrated deep learning, and at the time of the survey, 75% of respondents indicated their company had some combination of internal and external training programs to address this issue. 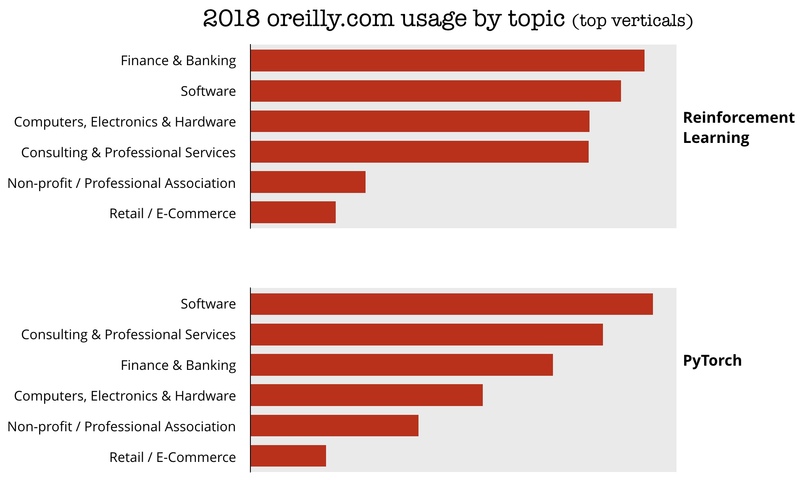 We examine usage across all content formats on the O’Reilly online learning platform, as well as demand via volume of search terms. 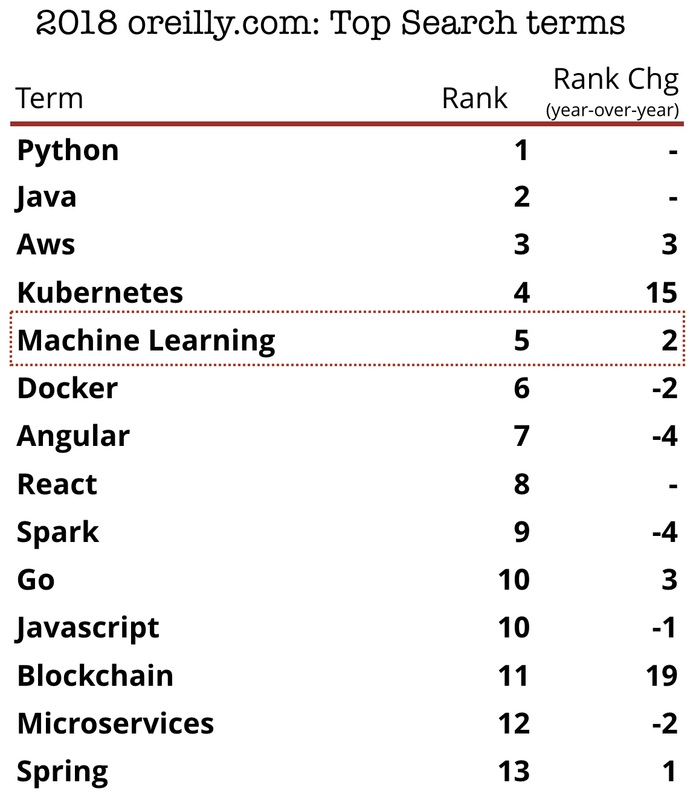 We recently conducted a survey (full report forthcoming) on machine learning adoption, which included more than 6,000 respondents from North America. I’ll use key portions of our upcoming AI Conference in San Francisco to describe how companies can address the topics and findings surfaced in these two recent studies. 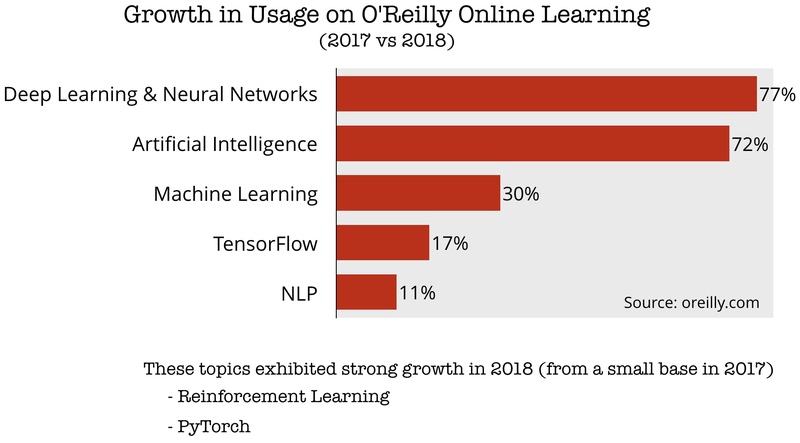 Growth was strong across many topics associated with AI and machine learning. 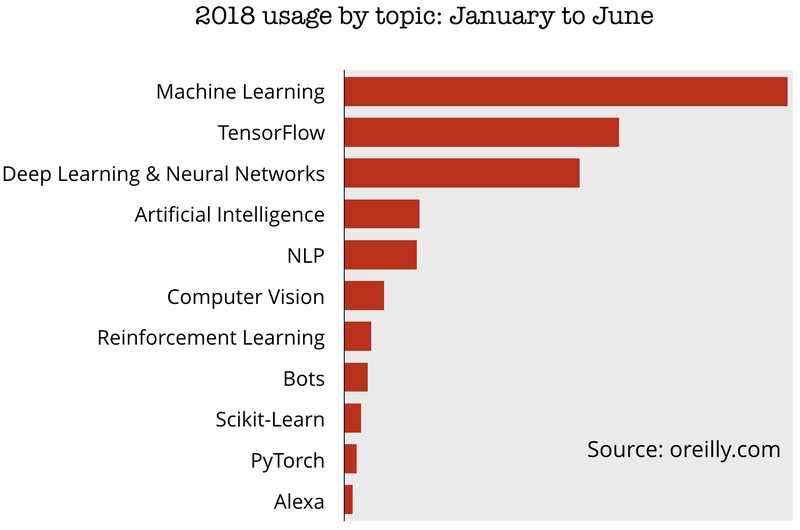 The chart below provides a sense of how much content usage (“relative popularity”) we’re seeing in some of these key topics: our users remain very interested in machine learning, particularly in deep learning. There is growing awareness among major stakeholders about the importance of data privacy, ethics, and security. Users are beginning to seek more transparency and control over their data, regulators are beginning to introduce data privacy rules, and there is growing interest in ethics and privacy among data professionals. Analysis is based on non-personally-identifiable information about usage on O’Reilly’s online learning platform. Article image: Stairs and brick wall (source: Pixabay).